The Pilgrim Nuclear Power Station opened in Plymouth 43 years ago. 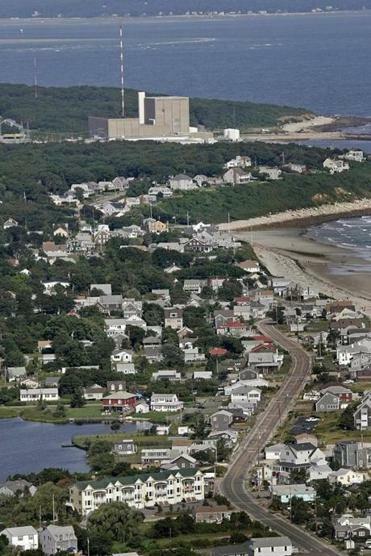 PLYMOUTH — Christine Fletcher said Tuesday that he was relieved the aging Pilgrim Nuclear Power Plant will be closing, citing persistent safety issues. “You don’t want a badly run nuclear power plant in the area,” Fletcher said while working at her family’s clothing and gift store in Plymouth. While residents of the area don’t spend much time worrying about the plant, which has been part of the town for the past 43 years, the recent drumbeat of bad news has raised concerns. Other residents interviewed after the plant’s owner, Entergy, announced its plan to shut down Pilgrim by June 2019, said that while the closure is overdue, the loss of jobs and tax revenue will be appreciable. 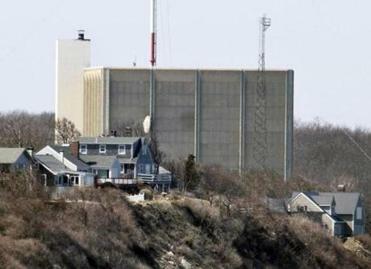 In recent years, the Pilgrim Nuclear Power Station in Plymouth has experienced safety rating downgrades and mechanical failings. To some, Entergy should not wait until 2019 to pull the plug. US Senator Edward J. Markey, a long time critic of the plant itself and of nuclear power as a source for nation’s energy needs, said the shutdown decision announced Tuesday by plant owner Entergy was a prudent one. Markey said the Pilgrim shutdown was further evidence that the marketplace is properly hostile to nuclear energy. “The time is now in New England and around the nation to rapidly transition towards the safe, affordable clean energy of wind, solar, and geothermal power,’’ he said. Not every one, however, wants to see the closure of the plant on the shores of the Atlantic Ocean that opened 43 years ago. Craig A. Pinkham, the acting president of the Utility Workers Union of America Local 369, said that Entergy and Massachusetts officials should search for a way to keep the plant operating and not accept its closure as an inevitable event. “It is not acceptable to walk away from a resource this valuable, and this important to our energy supply and to our economy, simply because it is going to require an investment to maintain its viability,” he said. He said the utility workers are ready to share their expertise with Entergy to devise a plan that makes the plant profitable — and safe. “Entergy needs to sharpen its pencil, go back to the drawing board, work with the Nuclear Regulatory Commission and the people who know this plant best – the utility workers – and come back with a plan to keep this plant running affordably and safely,’’ he said. Jack Clarke, director of public policy at Mass Audubon, said the shutdown likely will lead to a need to boost investment in offshore wind farms, and also create concerns about the rising sea levels linked to climate change as the plant is decommissioned. Dan Dolan, president of the New England Power Generators Association, said the industry and consumers will benefit in a post-Pilgrim world if policy makers stop providing subsidies to some energy suppliers and deny the same benefit to others. Arlene Williamson, vice president of Cape Downwinders, welcomed the shutdown. Kevin O’Reilly, executive director of the Plymouth Area Chamber of Commerce, said the loss of tax revenue for the town will be substantial, but that the town has been putting money aside in anticipation of its closure. “Plymouth has absolutely been looking ahead,” he said. The town has a diverse economic base that should help cushion the blow, he added. With Pilgrim's closure, where will New England get its energy? David Abel can be reached at dabel@globe.com. Follow him on Twitter @davabel. Peter Schworm can be reached at schworm@globe.com. Follow him on Twitter @globepete.